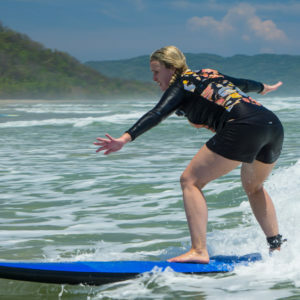 In Costa Rica, “Pura Vida” means ‘pure life’ and at Pranamar Villas and Yoga Retreat you’ll have the opportunity to explore what this idea, of a simple and pure life means for you. 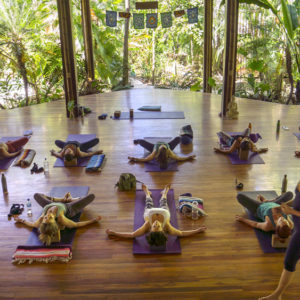 This is a mind-body-spirit adventure, combining a magical location with daily yoga, meditation, chanting, mantra, spa treatments, healthy cuisine and eco-adventures. 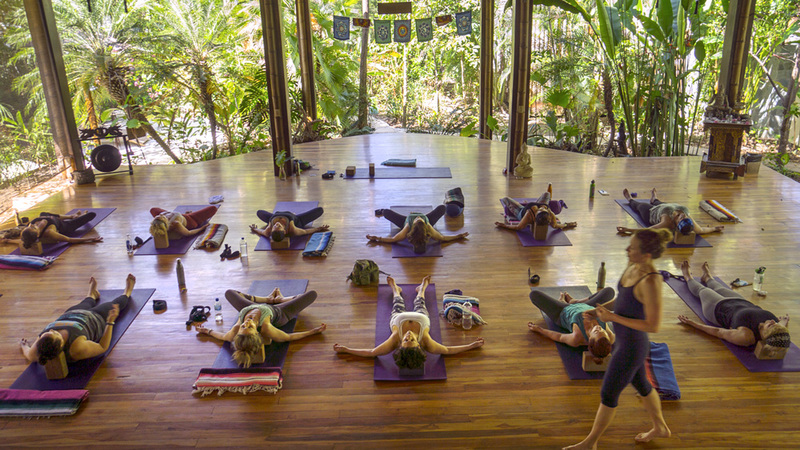 The energy of yoga lives and vibrates at Pranamar Villas – and we can’t wait to share it with you! 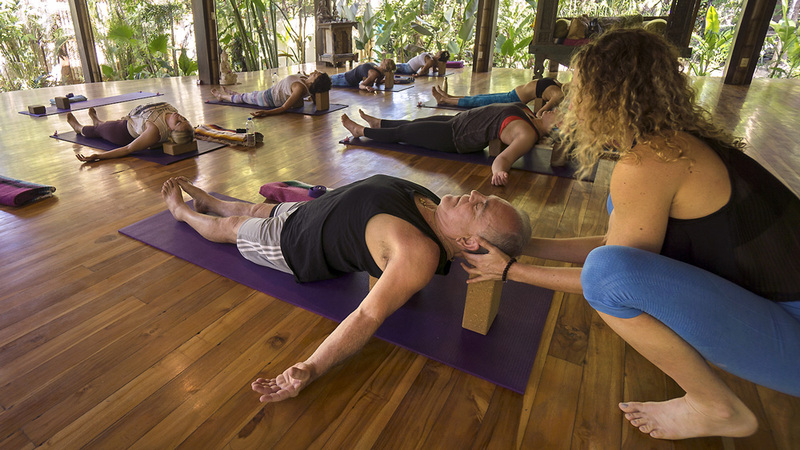 Come to connect with other like-minded souls, but most importantly, allow the Pura Vida energy of Costa Rica to guide you back to a deeper connection with YOU. Feel safe to explore your inner desires, reassess and release what no longer serves you, and discover your path in life through the power of yoga and meditation. 7 nights luxury accommodations in one of Pranamar’s Balinese inspired villas. 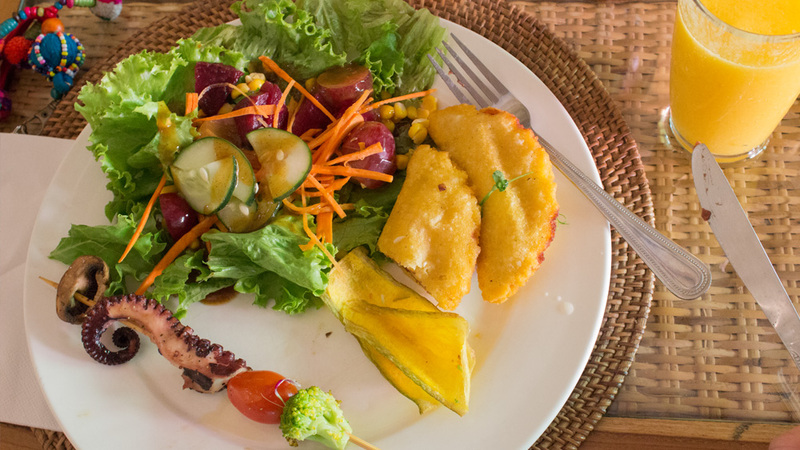 Gourmet meals including vegan and gluten-free options – lovingly prepared to nourish your body and enliven your senses. 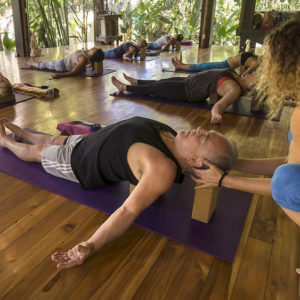 Daily Sunrise Meditation, Pranayama, Chanting, Mantra and Yoga Asana (a Vinyasa style Bhakti Flow) in an open-air yoga shala tucked in the lush jungle foliage and overlooking the sea. 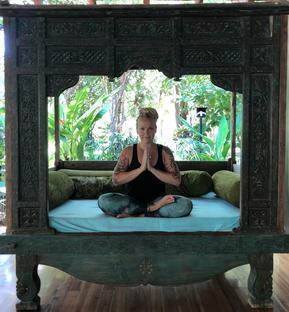 Evening Restorative and Yin Yoga classes with live music. Kirtan and a traditional Puja Ceremony. Free time to explore Santa Teresa and beyond. Access to optional day excursions including horseback riding, zipline tours through the rainforest, jungle hikes to exotic waterfalls, and snorkeling adventures to Tortuga Island. Access to pristine beaches and world class surfing for all levels just steps away from your villa. 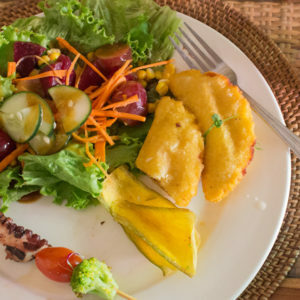 Accommodation options to meet every budget, all elegantly designed with Costa Rican hardwoods, bamboo and plenty of open access to nature in an intimate setting surrounded by lush gardens, a beautiful infinite pool and the sound of ocean waves. Each two-story villa has two air-conditioned and spacious bedrooms, two bathrooms, a living room and plenty of decks and terraces. These villas sit directly in front of the beach, offering uninterrupted sunset views. They also include a full kitchen, oversized verandas and open-air bathrooms with luxurious granite stone tubs surrounded by tropical gardens. Each two-story villa has two air-conditioned bedrooms, two bathrooms, a living room and plenty of decks and terraces. 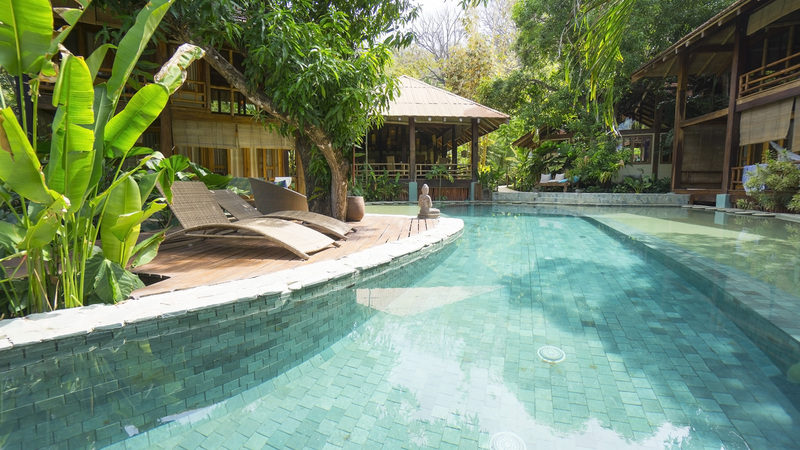 These villas sit around a free-form pool, creating a relaxed, romantic atmosphere complemented by natural surroundings. They also include open-air bathrooms with luxurious granite stone tubs surrounded by tropical gardens. The three spacious bungalows are built in sustainable pinewood offering simplicity and comfort with ecological consciousness. Enormous ocean-facing decks allow guests the chance to watch the sunset and relax with the ocean breeze, while a small living space with built-in sofas offers a private lounging area. This large two-story house is perfect for families or a group of friends who want to feel at home at Santa Teresa beach with all of the luxuries of being at a hotel. Downstairs is a bedroom, connected to a small living room and kitchen, with large windows and doors opening out to an enormous deck. Upstairs is a giant bedroom and bath with ocean views and plenty of space to relax on the terrace. Swimming pool, yoga studio with mats, blocks, straps, bolsters and blankets, a boutique, laundry service, 24 hour security, restaurant on site, shuttle/car service for hire, ATV rental, activities & tours coordination including surf lessons, horseback riding, stand up paddle boarding, canopy tours, snorkeling tours, jungle hikes, waterfall adventures, ecstatic dance, and massage/spa services. 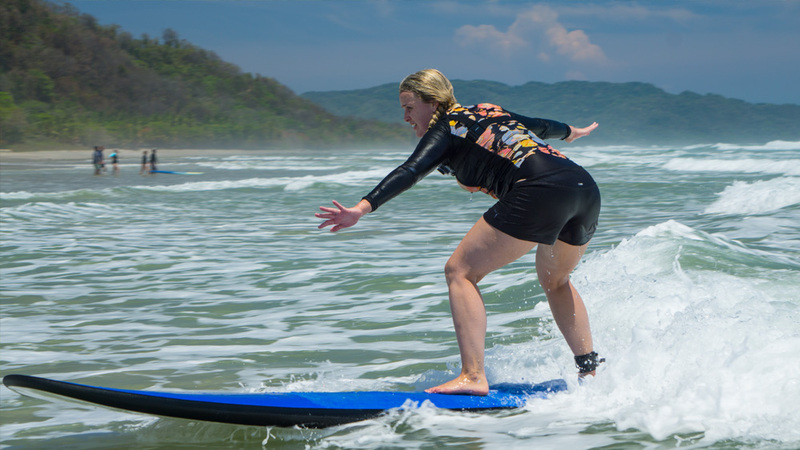 You are responsible for your own roundtrip airfare to Costa Rica. You can fly into Juan Santamaria International Airport in San Jose (SJO) or Daniel Oduber Quiros International Airport in Liberia (LIR). There are also charter flights available from San Jose to Tambor (TMU). For more information or to book go directly at http://www.flysansa.com. A taxi transfer from the airport or between hotels can be arranged for an additional fee. The drive time from SJO or LIR to Pranamar is approximately 3 1/2 hours. And from TMU it is approximately 45 minutes. It is recommended that you purchase your own travel insurance. 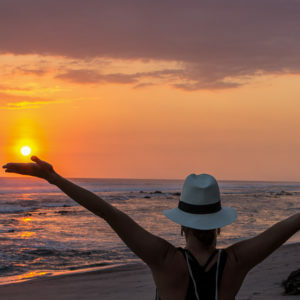 Be sure your passport is up-to-date, does not expire within six months of your departure date from Costa Rica, and has at least two empty pages. 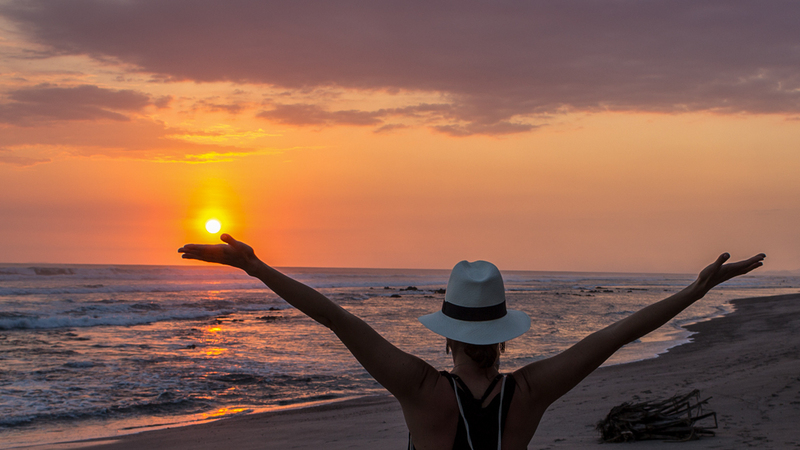 There are no travel vaccinations required to travel to Costa Rica. A non-refundable deposit of $500 is required to reserve your space. Your balance in full is due by March 26, 2019. You can pay Donna Raines Wenzler directly by cash (in person), check or credit card via Paypal or Venmo. Be aware that Paypal may require you to add in a 3% Paypal Fee. If you must cancel your retreat, the required deposit is non-refundable and non-transferable. Cancellations made within 60 days of your retreat: 50% of the total amount paid (less deposit) will be refunded. Cancellations made less that 60 days prior to your retreat: We apologize, but absolutely no refunds can be given.